For a Terrebonne, the home place is the safe haven, the convergence of waters, the place where the beloved dead are as real as the living. . . . The only Terrebonne who made it out, Alma thought she was done with Montana, with its cruel poverty, bleak winters, and stifling ways. Hard work and steely resolve got her to Yale, and now she's an attorney in a high-profile Seattle law firm, too consumed by her career to think about the past. But an unexpected call from the Montana police takes the successful lawyer back to her provincial hometown and pulls her into the family trouble she thought she'd escaped. Her lying, party-loving younger sister, Vicky, is dead. The Billings police say that a very drunk Vicky wandered away from a party and died of exposure after a night in the brutal cold. The strong one who fled Billings and saved herself, Alma returns to make Vicky's funeral arrangements and see to her eleven-year-old niece, Brittany. Once she is back in town, Alma discovers that Vicky's death may not have been an accident. Needing to make her peace with the sister she left behind, Alma sets out to find the truth, an emotional journey that leads her to the home place, her grandmother Maddie's house on the Montana plains that has been the center of the Terrebonne family for generations. She re-encounters Chance, her first love, whose presence reminds her of everything that once was . . . and everything that might be. But before she can face the future, Alma must acknowledge the truth of her own life--the choices that have haunted her and ultimately led her back to this place. 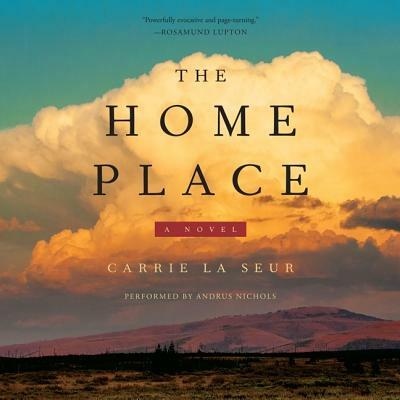 The Home Place is a story of secrets that will not lie still, human bonds that will not break, and crippling memories that will not be silenced. It is a story of rural towns and runaways, of tensions corporate and racial, of childhood trauma and adolescent betrayal, and of the guilt that even forgiveness cannot ease. Most of all, it is a story of the place we carry in us always: home.